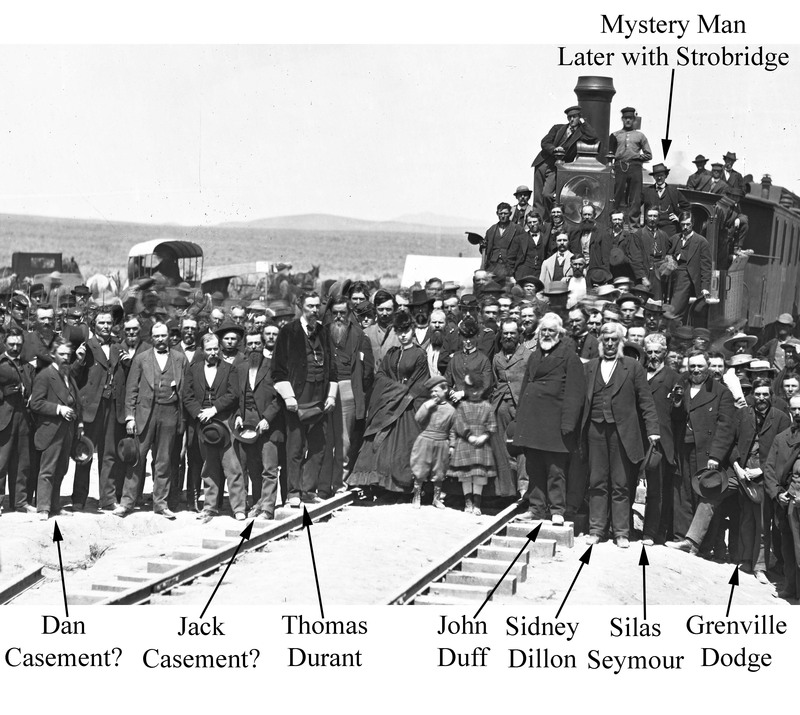 I am trying to identify as many people as possible in the famous Promontory "champagne" photo, in preparation for an article in an upcoming Trains Magazine issue. Attached is the National Parks guide to the people in the photo, with a couple of additions. Per the attached cropped photos, I am also trying to figure out who is with James Strobridge in the photo. 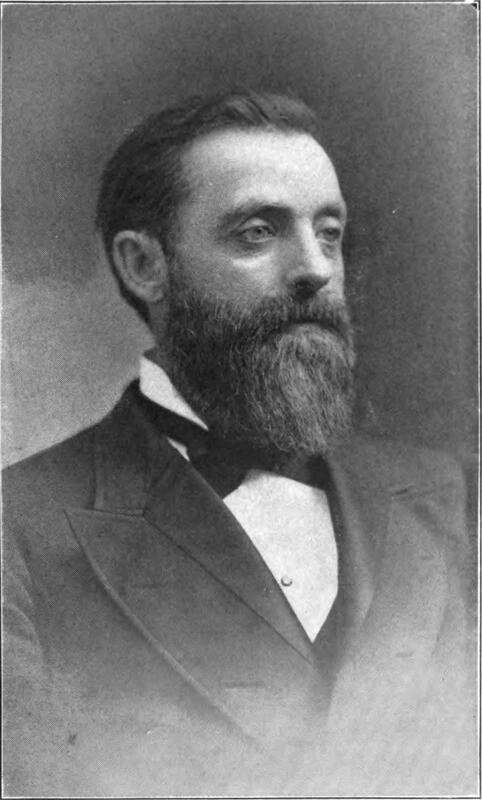 My initial thought is that it might be the Casement brothers (the most logical Union Pacific counterpart to the Central Pacific's Strobridge) - but I have never seen any photos of the Casements without beards. Notice: Kyle Wyatt has retired from the California State Railroad Museum, March 15, 2018. 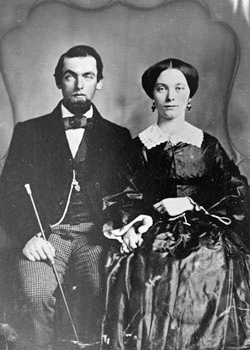 The figure on the right could be Dan Casement - they look very similar. 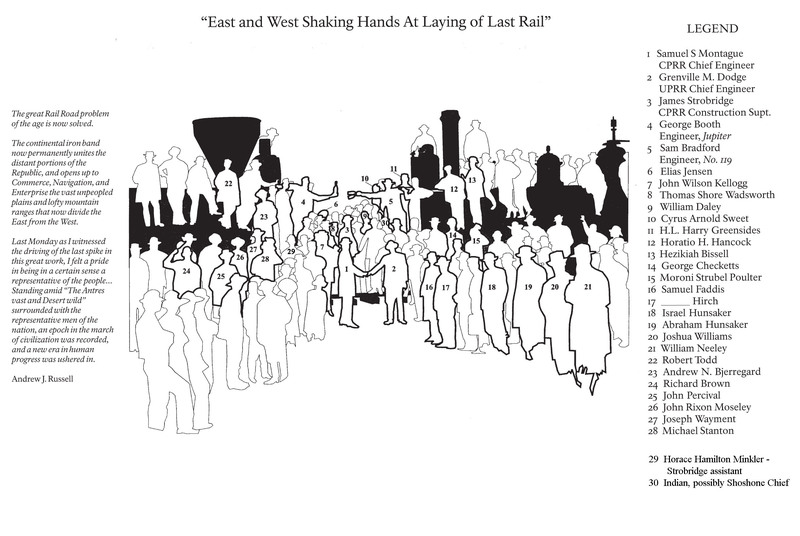 The left-hand figure is a bit harder to say is Jack Casement. height seems about right. 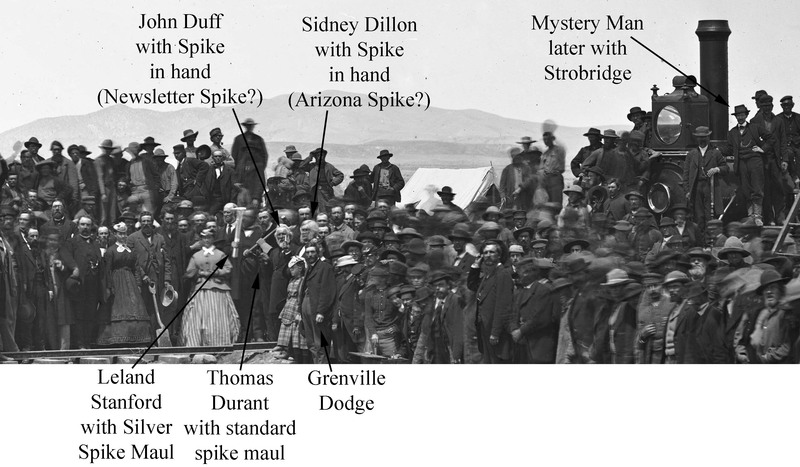 Both are standing on the rail and up an embankment. Both of these guys were just a little over 5 ft. tall. 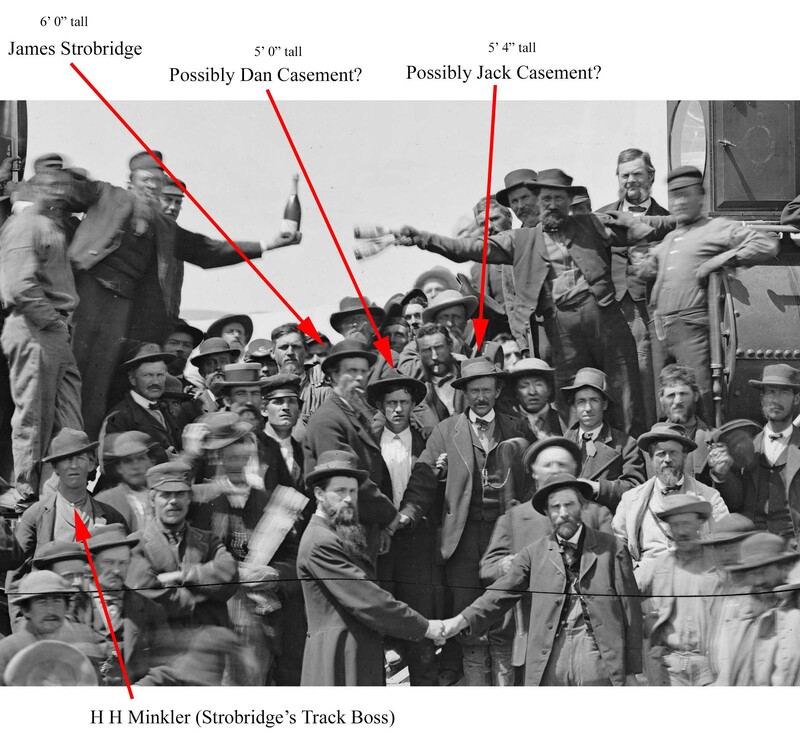 Following up on the possibility that the Casement brothers are with Strobridge in the photo, here is what I have on comparative images. Not conclusive in my mind, but still a fair possibility. Did you ever resolve the Casement question? 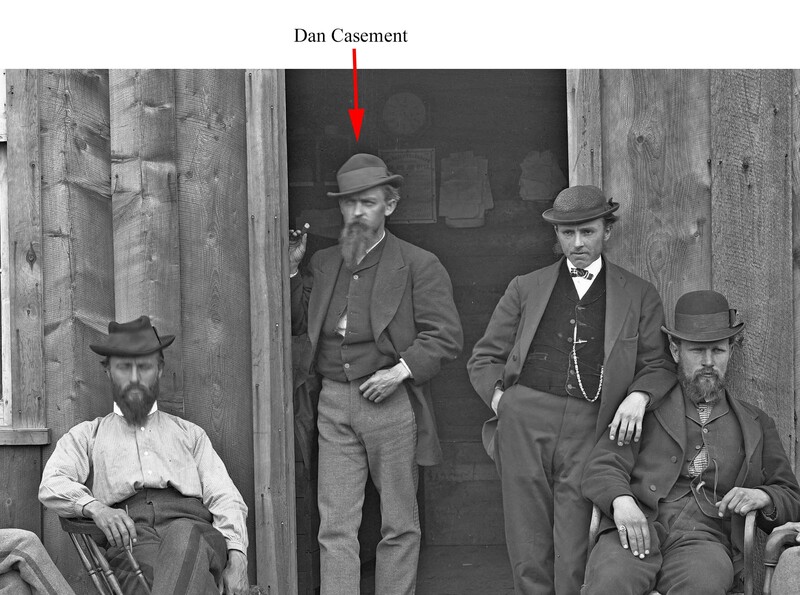 It is clearly not the Casements (they both had beards on May 10, per other photos) - but I do not know who it is. 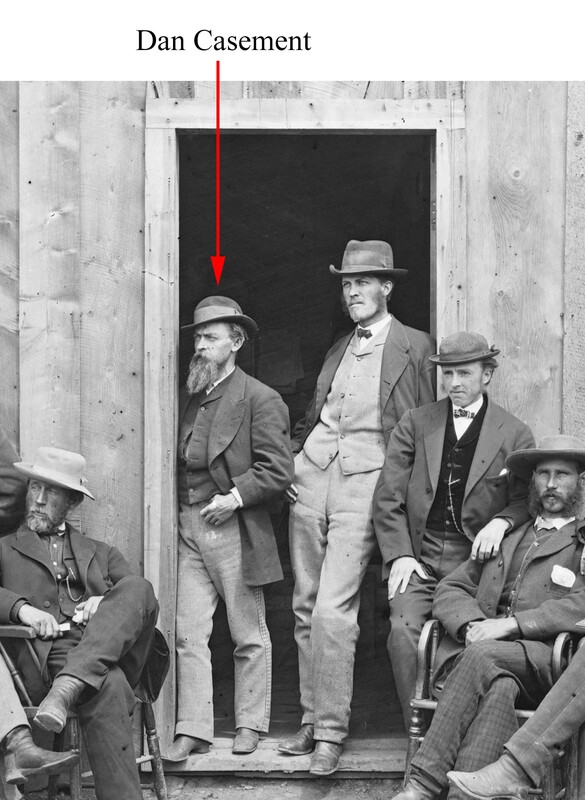 If you look at A. J. Russell's May 10, 1869 image of the "engineers" next to the UP coach after the ceremony, the one without wives, it may provide a clue. In the Leonard collection at University of Iowa that image has scribbled on the back "Saml B Reed with Engnrs to Right and Contractors to Left." 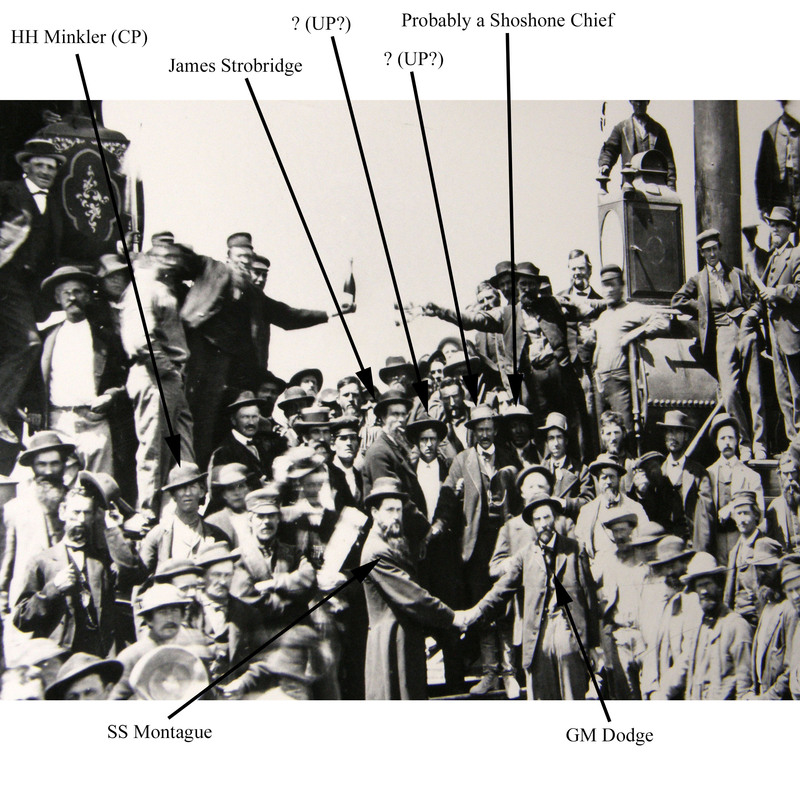 Reed is in the center with consulting engineer Seymour at his immediate right and chief engr. Dodge next to him. On the left, the last contractors in the row may be the bearded Casement brothers. If you look at the 2d and 4th contractors to the left of Reed they have a marked resemblance to the two individuals next to Strohbridge in the "champagne photos." Who are they, yo no se. I don't think the clothes in the Engineers view are right for our UP men with Strobridge in the Champagne Photo. 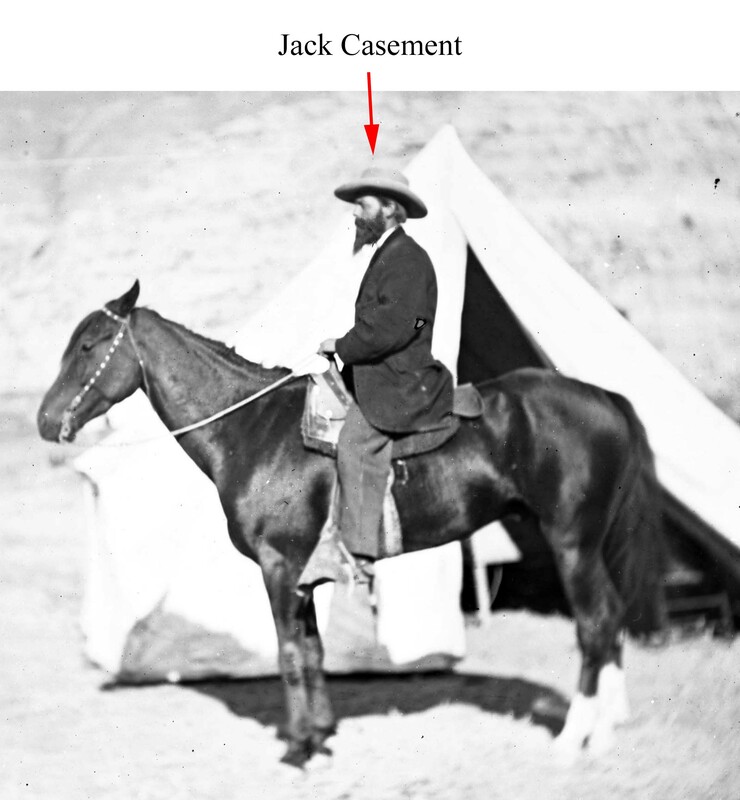 (Also in the Champagne Photo, I no longer [think we] have a Shoshone Chief – in a clearer copy it turns out to be clothing, not hair pony tails.) Our UP Mystery Man also appears standing on the steam chest of UP loco #119 in a number of photos – not sure where his friend is in those photos. 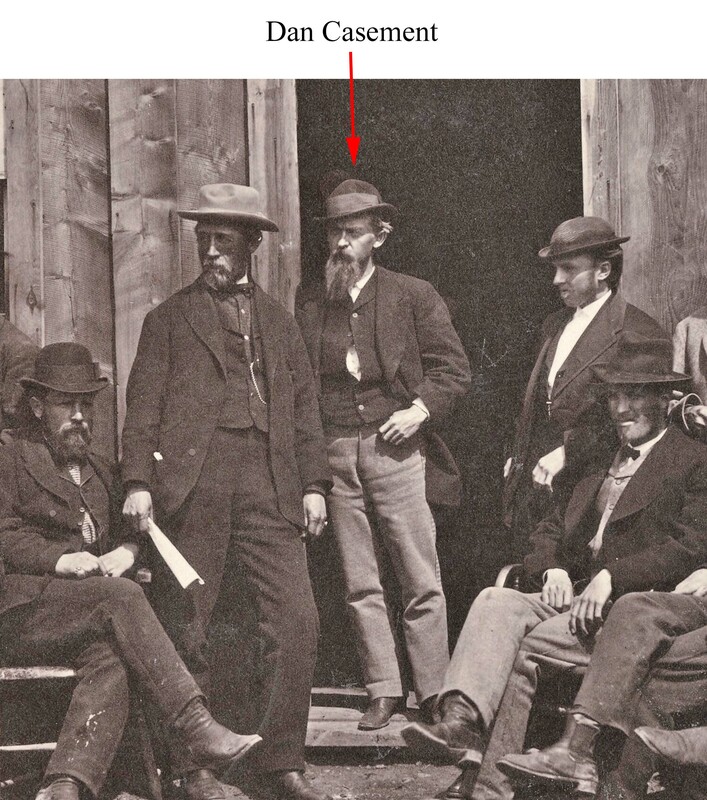 I believe the Casement brothers also show up in one of those photos – clearly bearded on that day. For info, I have retired from the California State Railroad Museum. I looked again, and if you look at the photo of engineers, this time the one with the wives, the gentlemen behind the two women on the right has the same tie, hat, and more closely resembles the unknown person in the champagne photo. Its easy to call up and enlarge the image on the Oakland Museum web page.